DENVER (AP) — Colorado Gov. John Hickenlooper will sign legislation Wednesday that sets limits on ammunition magazines and expands background checks for firearms, marking a Democratic victory in a state where gun ownership is a treasured right and Second Amendment debate has played out in the wake of two mass shootings. The measures proposed are some of the strictest gun laws in the nation, and their passage comes after weeks of tense legislative battles. Republicans and gun rights supporters put up a major fight against the measures in this politically moderate state, while Democrats made them the centerpieces of a package of legislative proposals drafted in reaction to shooting rampages at a suburban Denver movie theater and a Connecticut elementary school last year. "I think it will make it more difficult for people to get guns who shouldn't have them, and that's really the goal," said Democratic Rep. Beth McCann on the expanded background checks. Magazine limits would reduce gun violence and have an impact during mass shootings, because they would force gunmen to reload more times, she said. "It's an interruption in the spraying of bullets." 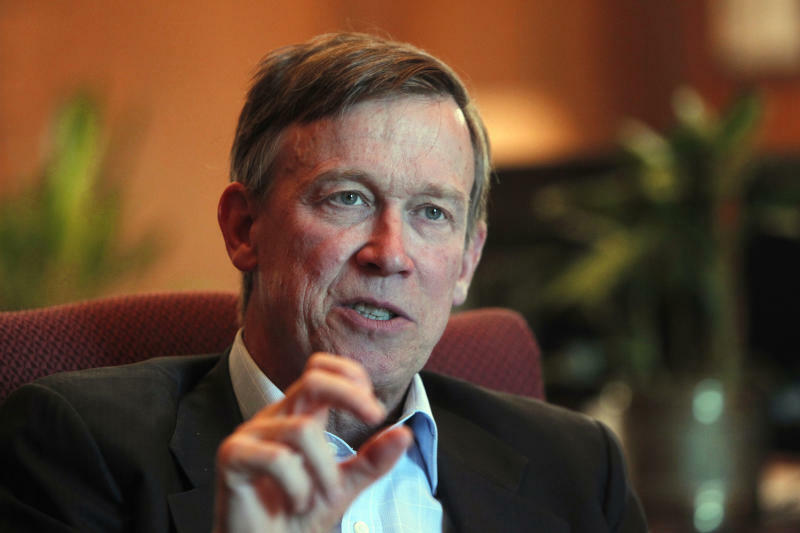 Hickenlooper spokesman Eric Brown confirmed Monday that the governor would sign the measures. Colorado's gun controls, which become effective July 1, are the first beyond the East Coast approved this year. They also are getting approval as Congress embarks on its own gun debate in Washington, where Colorado Democrat's proposals were closely watched because the state was seen as a bellwether. Republicans reviled both bills and argued the proposals would not prevent more shootings, but hurt law-abiding citizens' exercise of their Second Amendment rights. "We're obviously very disappointed. I think we demonstrated time and time again all of the issues associated with" the magazine limits, said Republican Rep. Mark Waller, the GOP leader in the House. "They're doing this without any proof that banning this is going to have any impact on public safety," he said. Republicans seemed resigned from the start that the bills would become law, though. Hickenlooper said previously he would sign the magazine limit, and he specifically asked the Legislature to expand background checks in his annual address. "Our only hope now is if his pen runs out of ink," said a rueful Rep. Ray Scott, R-Grand Junction. The governor also was planning to sign a bill reviving user fees for gun purchasers needing background checks. Colorado charged $10 background-check fees more than a decade ago, but the fees were dropped. The Colorado Bureau of Investigation currently picks up the tab checking prospective gun owners. A Colorado-based magazine manufacturer said it would leave the state if the new restrictions were passed, taking hundreds of jobs with it. Democrats tried to ease the concerns from Magpul Industries, saying the company can still manufacture higher-capacity magazines if they were sold out of state. Waller blasted Democrats on that amendment, saying it was hypocritical because they are telling the company "you can sell (magazines) at any other place where any of these tragic shootings have happened." Waller called the exemption "a monumental inconsistency in their thought process." Other Democratic gun control proposals still pending in the state Legislature include a ban on gun ownership by people accused of domestic-violence crimes and a bill to eliminate online-only safety training for people seeking concealed-weapons permits. Two more Democratic gun control bills were withdrawn when they appeared to lack support for passage. Those included a new liability standard for gun owners and sellers, and a ban on concealed weapons on public college campuses. Republican gun ideas were hastily rejected earlier this year. Those ideas included expanding gun laws to allow teachers to carry concealed weapons, and a failed attempt to require armed security guards at businesses that ban concealed weapons.